How To: Basting Fast, foolproof ways to ensure moist, flavorful results. Fast, foolproof ways to ensure moist, flavorful results. A brush is the best tool for basting while grilling or broiling parts. Dip the brush in fresh sauce or marinade. Baste after turning the chicken; repeat on the "up" side once or twice during cooking time. Wash the brush in hot, soapy water. 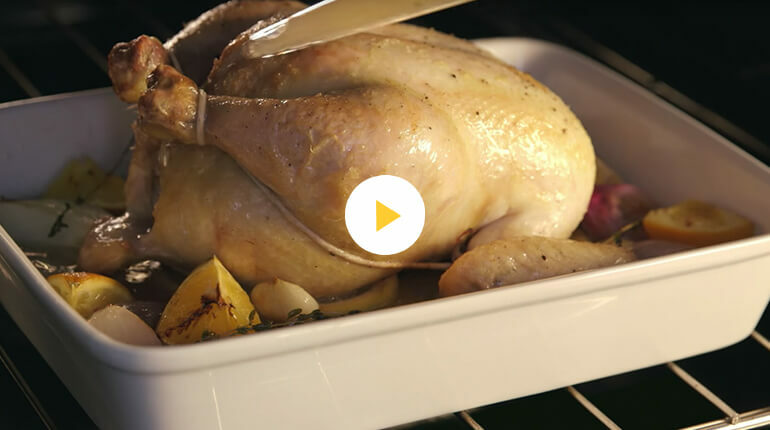 Using a bulb baster is the easiest way to baste a whole, roasted bird. Wear an oven mitt and baste every 20-30 minutes, depending on your cooking time. Clean by removing the rubber bulb, soaking both pieces in hot, soapy water. Air dry before putting the bulb back on.